Our Home Page lists rolling testimonials. If you would like more detailed references, however, we can supply you with the details of past clients for you to contact (with their agreement, of course). Do I need to provide a stage? We often play at venues that do not have a stage, though it is recommended for events with more than 50 guests. We can work around this if the venue cannot house a stage, but that is the preference. Many venues have their own stages anyway, but if not, we can arrange staging for you at an extra cost. Yes, we provide basic lighting. Our basic lighting consists of up to six coloured floor-mounted lights. If however, you are planning to use lights as part of your function’s theme, we suggest contacting a staging hire company, or we can arrange to hire more for you at an additional cost. What happens if I have a theme for my event? No issue at all. We will work in with you. In our experience, themed events give your function that extra edge, and we like to have a lot of fun with it as well. We can even source and arrange costuming for you if you wish. Is the set-up time included in your quote, and how much time do you need? Absolutely. Set-up times can vary based on such things as position of venue, size of crowd, size of PA equipment, and also any pre-dinner arrangements you may have. All set-up and pack down time is included in our quote. Do I have to feed the band – and what happens with drinks? The industry standard is for the entertainment to be provided with what is known as a rider. These riders vary from group to group, but basic riders include a meal and unlimited water/soft-drinks. At Tony George Entertainment we use the basic rider as a standard. We also request a greenroom or a designated area for the band to go during breaks. Can you help with entertainment for our pre-dinner drinks as well? Our key strength is being able to offer a range of entertainment options. 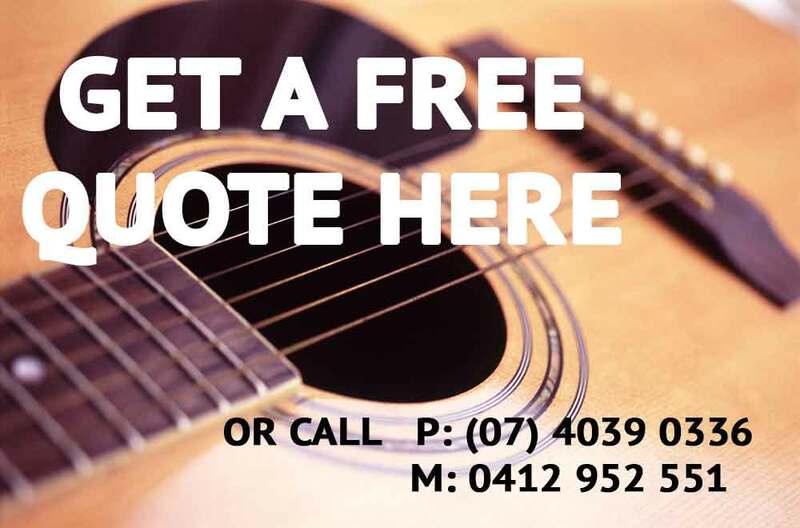 Whether it’s an extra speaker for an iPod, or having some roving musicians or solo acoustic singer, we can assist you in your needs. Do you allow guests to perform with the band? In most cases, we allow guests to try their hand because audience participation is usually a sign everybody is enjoying themselves, including us! There are times, however, where it is not possible or recommended, so unless it is pre-organised, guest participation is on our terms and we reserve the right to refuse. Can you MC my function? I would love to MC your function. Apart from providing musical entertainment for your wedding, function or party, the role of MC is something I truly enjoy, and have done so throughout my career. My history in this area enables me to deliver a time-tested ability to keep your event moving with humour, professionalism and seamless transitions. However, if we are also employed as the band, I do charge slightly extra given it is a separate function to the music. Yes, you can use our microphone and PA for your speeches. We can even help you with extra microphones at additional cost. Absolutely! We love it when our audiences request songs, and have been known to put two requests into the one song just for fun! Do you supply background music during breaks? Yes we do. You have the choice of leaving the music selection to us, or we can play your music through our sound system. Please remember that we do have different playlists that cover all age groups, from dinner music to party music. Is the song list on your website all you play? Our playlist tab is representative of what we play, but by no means is it our entire repertoire which has been built up over more than 18 years. And you would be surprised at how many that is! Our versatility and musical range mean is that we can deliver a professional, entertaining and interactive musical experience for you and your guests, whether it’s a small wedding or large corporate Christmas Party. What are your favourite venues to play, and do you recommend any in particular? Each event is so specific that it’s hard to say. I’ve provided musical entertainment at conferences, weddings and event functions at Sheraton Mirage Port Douglas, Pullman Sea Temple Port Douglas, Reef Hotel Casino Cairns and also Pullman Cairns International. Each one was memorable for different reasons. A majestic sunset at a wedding on the beach at Angsana Resort and Spa at Palm Cove is hard to beat! Then again, a room full of people having fun and filling the dance floor is also exhilarating for us. If you need any assistance, I’m happy to suggest venues that I feel would suit your needs. What band size would be best for my event? This is best discussed with Tony in a meeting or phone conversation. We will work with you to create the ambience and feel that you desire, and make helpful suggestions along the way. Some factors that will influence the decision we both arrive at include whether the event is indoor or outdoor, the size of crowd and space available, or whether you are looking for an intimate setting or to party all night long! Can I extend the playing time on the night? Yes, we understand that celebratory occasions such as weddings and corporate parties and functions can take on a life of their own. We like to think the music and energy we provide contribute to that! We are therefore happy to extend the function (at extra cost). Please be aware, though, some venues have curfews or licensing issues that can affect our ability to do this. However, weddings and corporate events are distinctive occasions, so we always try to be flexible enough to fit in with our client’s musical requirements, where possible. Our expertise extends to understanding your timetable and itinerary, as well as reading the crowd. This means we’ll keep playing if the dance floor is rockin’, or wind up if the main course is about to arrive. Our invoices provide details of direct credit transfer to a designated bank account number. Cheque or cash payments are also accepted. We are unable to accept credit card payments. Once you have accepted our quote (an email will suffice) and paid a 10% non-refundable deposit, the day (or night) is all yours. Once the date is locked in, we turn down all other competing enquiries. What do I need to do to organise a booking? We will then supply you with a quote for our services.